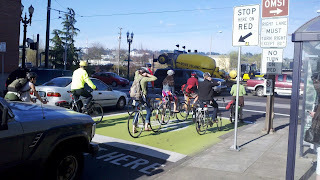 There was an impromptu opportunity to discuss the traffic operations benefits of bike boxes. 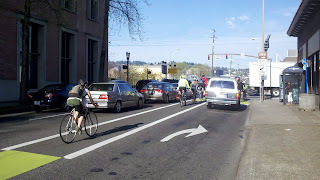 The following was what was shown during the discussion about bicycle boxes at the National Committee on Uniform Traffic Control Devices where it became apparent that there are professionals that help write the MUTCD that haven't had the experience of a significant number of cyclists where a bike box would provide a traffic operations benefit. 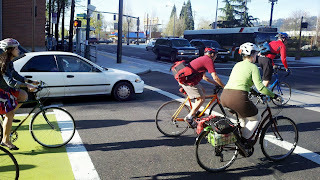 This particular bicycle box at the intersection of SE Madison & Grand Avenue in Portland is not a standard design because the bike lane is to the left of the right turn lane, but it does provide the additional space at the intersection for clearing the queue of bicycles. 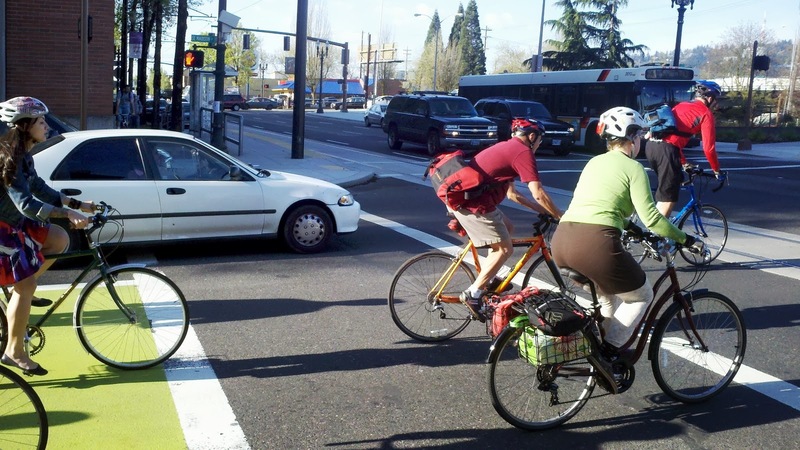 If you're not familiar with the bicycle box, background information is provided at the National Association of City Transportation Officials (NACTO) website under the Intersections tag of the Urban Bikeway Design Guide. This series of photos shows how the people on bikes queue up in the bicycle box. 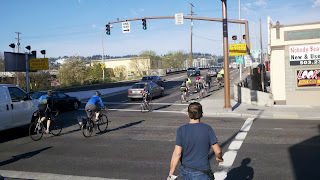 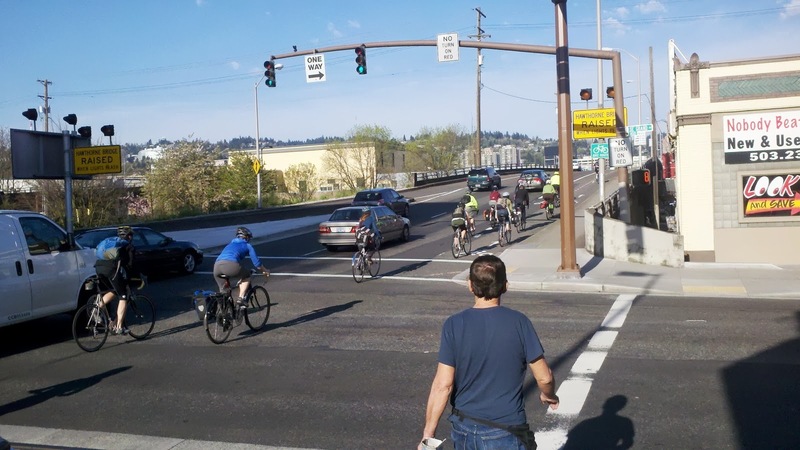 The sequence of photos also shows that 10 people on bikes cross through the intersection in 12 seconds (this is assuming some startup lost time). Portland State University just recently completed research on this particular situation and quantified the benefits of the bike box by comparing the situation of flow with the flow at the single bicycle lane and the the bicycle box which provides more space for moving bikes that have queued up during the red. 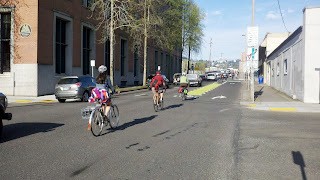 This example is a non standard location at SE Madison & Grand Avenue. 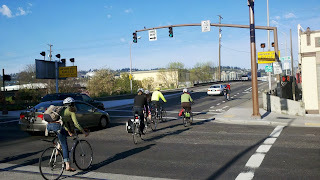 The benefit is for the very busy bus traffic and right turning volume that is at the intersection.